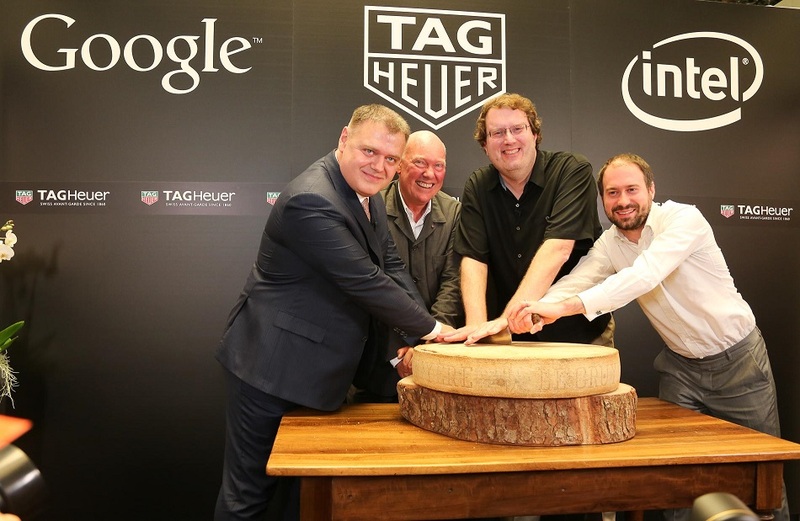 TAG Heuer, Google and Intel have announced a partnership to launch a Swiss smartwatch powered by Intel technology and Android Wear. The effort signifies a new era of collaboration between Swiss watchmakers and Silicon Valley, bringing together each company’s respective expertise in luxury watchmaking, software and hardware. The collaboration was made official at Baselworld, during a press conference held at the TAG Heuer booth. Jean-Claude Biver, President of the Watch Division LVMH Group and CEO of TAG Heuer, David Singleton, Director of Engineering for Android Wear, and Michael Bell, Corporate Vice President and General Manager of Intel’s New Devices Group, joined each other on stage.